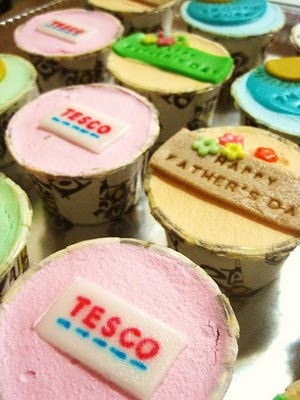 On last Father's Day, I was given a task to bake and decorate 50 pieces of cupcakes for a dad working at BM Alma Tesco construction site. When the daughter called me from KL, I was so excited as I believed it was gonna be fun and 'kickass' , as how the daughter put it. 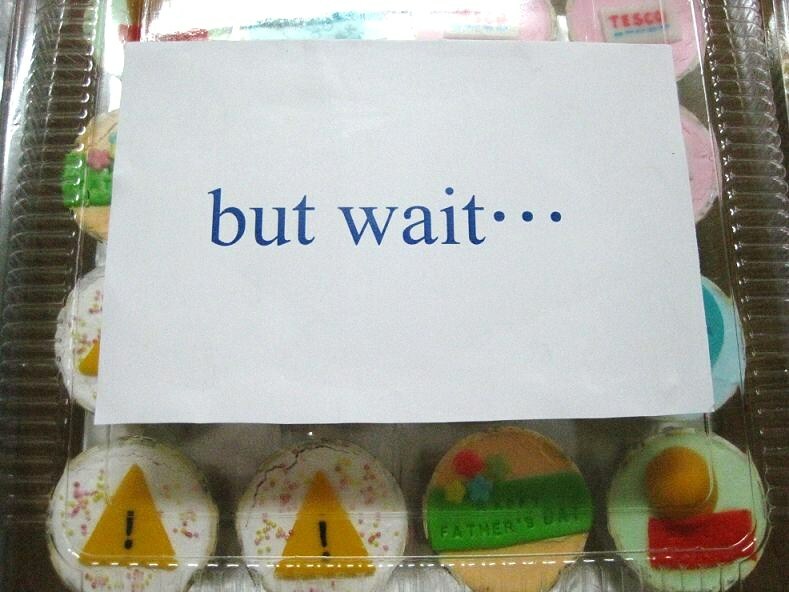 I came out with some ideas of the cupcakes design while the daughter gave me the message she'd like to convey. 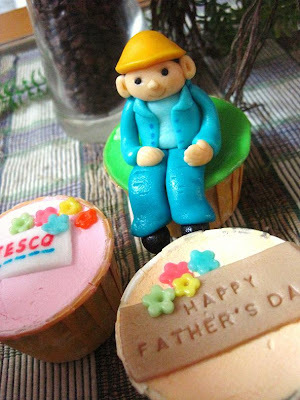 I made safety helmet, Tesco logo, 'Happy Father's Day' sugar press, safety sign and sunshine with 'smooth work' word press for the cupcakes topper. Since the daughter asked for less sugar cake, I used fresh cream topping instead of buttercream and cut the sugar in the batter. 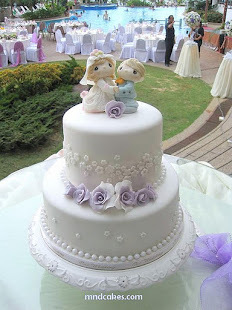 But the fondant decor tend to melt in contact with fresh cream which is water based. So, I have to put the decor on the last minute and send to the dad soonest. 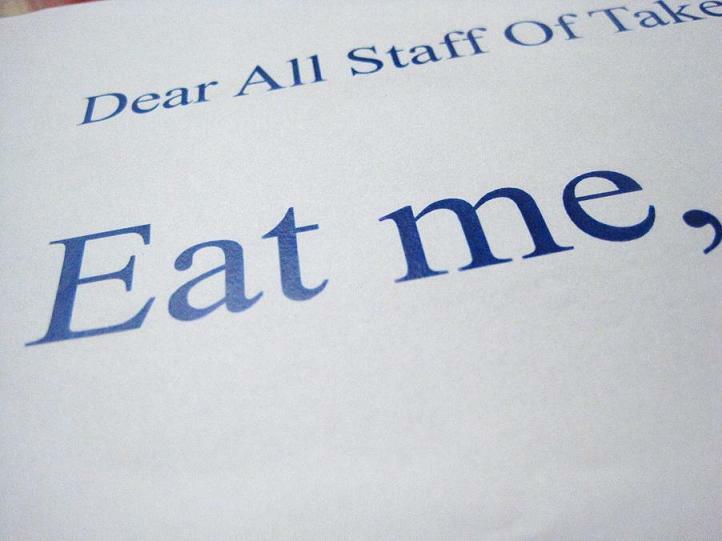 Eat me, ya, cupcakes can talk. But wait.......the daughter and son would like to ask for a favour. 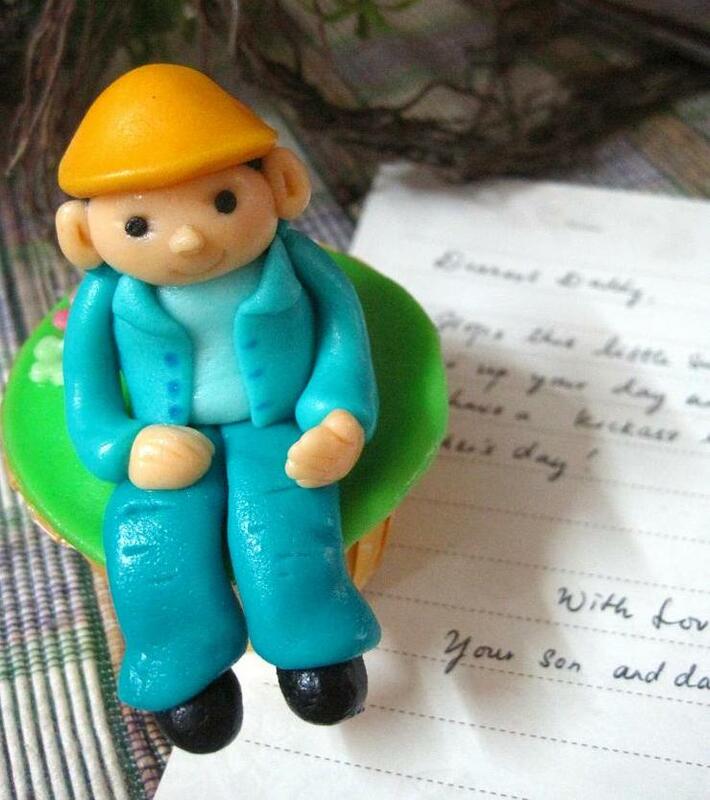 Take a closer look at the baby cakes. 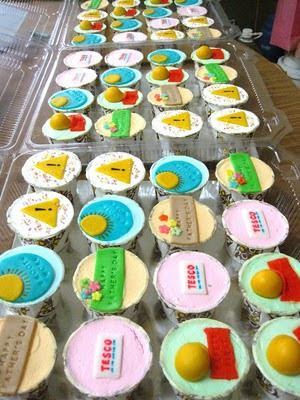 They look simple but with load of love from the children. 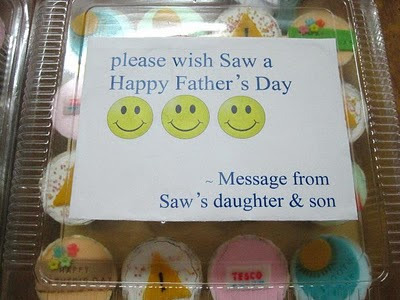 To complement the set of cupcakes, I thought the dad deserved a box of specially designed cupcakes. So, I suggested to the daughter and she was more than happy to accept it. The special box of cupcakes includes a 3D workman figurine cupcakes and a pair of complementary cupcakes decorated with small flowers. The cupcakes were delivered to BM Tesco site successfully. It was a big surprise to the dad in fact as the cupcakes were sent 3 days before Father's Day and the dad thought that Father's Day had actually passed, hahah! Oh ya, BM Tesco is HUGE! It seems that BM folks are going to have the largest shopping mall in town, how lucky we are! A big thank to the dad and all other workers at the site. Well Mom and daughter cakes has done an awesome work, successfully sent not just the cupcakes over but our love too to my dad and made it an unforgettable surprise that warmed his heart.. Thumbs up to Mom and Daughter Cakes!!! FYI, you cannot use fondant with fresh cream.